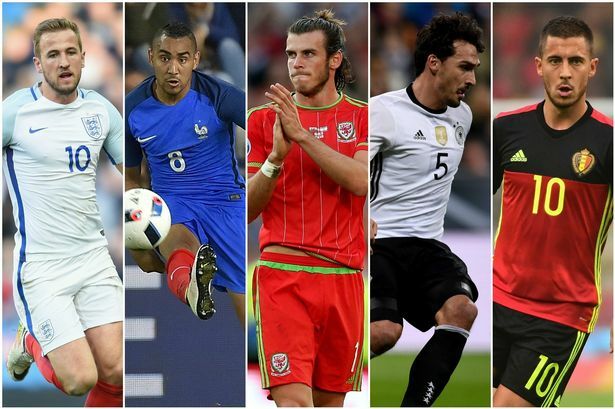 UEFA Euro 2016 is well under way, and this year marks the first occasion when 24 teams will contest the Henri Delaunay cup. Since its inception in 1960, the tournament has continued to grow, and now almost half of UEFA’s 54 member associates will contest for the European crown. NIKE Inc., Adidas AG, Puma SE , Accor SA, Metropolis Television SA, Societe Television Francaise. Airlines, transport companies and hoteliers all get a Lift due to the increase in visitor numbers around a major sporting event. This can even give boost to construction companies winning tenders in the run up to the event. Broadcasters and media companies get a lift from the higher demand for advertising during events. However, the broader economy can be a loser during an event, as productivity drops as workers take time out to watch matches or events. But it’s not only the hosts who benefit from a major football event. Consumer spending can also rise in the countries of the teams involve, as fans buy replica kits and organize Parties around the games. The longer a team stays in the competition the bigger the impact will be as the feel-good spending continues and disappointing football results in major competitions can have significant impact on investor mood. Share prices are affected not only by fundamentals but also by emotions. Sports have huge effects on people’s emotions. The impact of the game of footy on the markets has been well studied. The big battle this summer from around 24 countries from across Europe square off in France between June 10 and July 10. Usually such big tournaments distract traders, which could lead to some unusually volatile market swings. After crunching the data from 15 international stock markets during the 2010 World Cup in South Africa, the researchers found that trading volumes during game time plunged 45% and rose to as high as 55% when a national team was on the pitch. The researchers also found that goals reduced trading volumes by a further 5%.Distracted indeed are market participants during major football tournaments. At the end of the day, the beautiful game is meant to be enjoyed. Euro only comes once every four years, so take this opportunity to actually enjoy it.